Rainy weather didn't dampen the spirits for the participants in this years second annual Big D BBQ Battle sponsored by the North Dallas Chamber of Commerce and benefiting the North Texas Food Bank and Cafe Momentum. 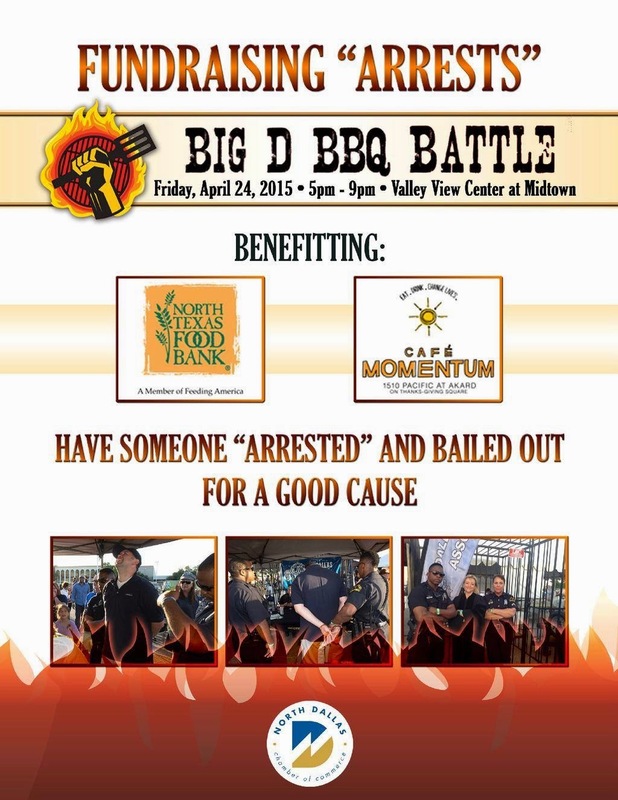 The event was held Friday, April 24, 2015 at the Valley View Center at Midtown . Participants began setting up their grilling areas Thursday afternoon with an array of secret recipe edibles to enter in the contest. American Receivable and Brad Gurney are members of the North Dallas Chamber and Jack Stieber, President of American Receivable was a contest judge this year. It was a great time for all participants and attendees and support of two very worthy causes.